We offer a wide selection of fully overhauled and checked used piling rigs and equipment for base structure planning projects. 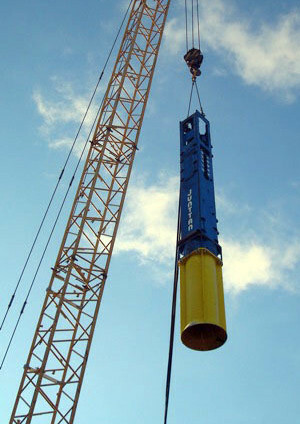 We sell and rent piling rigs and piling equipment worldwide. On request, we personalize our products according to the needs of our customers. Please check with us on the availability of our machines and for further information pertaining to them on our website, and ask for a quotation. By contacting us, you can obtain photos and further information on our piling rigs and their specifications. 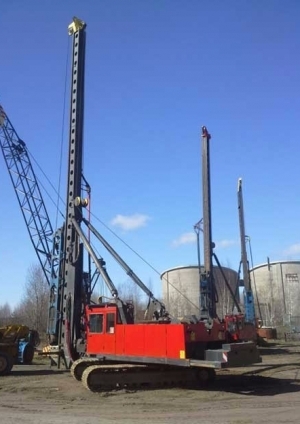 We also purchase your piling rig and equipment. With us you will find the buyer for your machine. Please do not hesitate to contact us for a quotation for your machine. Finnpiling is the official dealer e.g. for the following brands: PVE piling rigs and piling hammers, as well as Müller vibrators, piling equipment and machinery. Please do not hesitate to contact us and ask for a quotation for our products. You will obtain the machines quickly and effortlessly, directly from our warehouse. If you are interested in buying or renting a piling hammer, piling rigs, piling spare parts or other piling equipment, the process is quite simple. 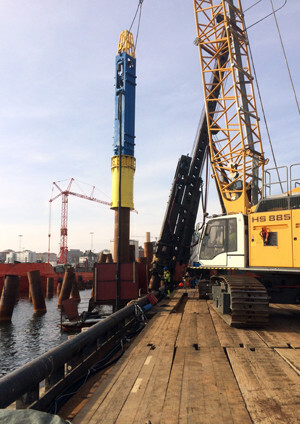 Don't hesitate to contact us through the contact page or to send an email to info@piling.fi or if our live help is online, just send a message. We sell and rent piling equipment, piling rigs, piling hammers and piling spare parts all over the world. When you contact us, we will specify together the type and the properties of the piling equipment according to your needs. It's our pleasure to help you with any challenge at all in all kinds of foundation projects. If you are interested in selling a piling hammer, piling rigs, piling spare parts or other piling equipment, the process is quite simple. Don't hesitate to contact us through the contact page or to send an email to info@piling.fi or if our live help is online, just send a message. 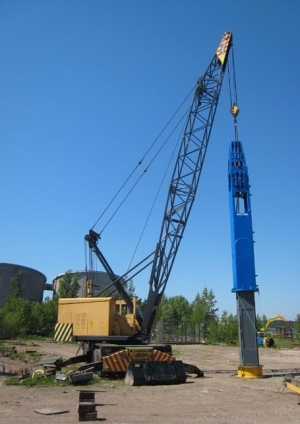 We buy all kinds of piling rigs, piling hammers, piling spare parts and piling equipment worldwide. If you contact us in order to sell, we would like to have proper information on the equipment you are offering to us. Please take several pictures of the equipment for sale and send the pictures and detailed information to info@piling.fi. After having received your offer we will contact you as soon as possible for further negotiations. Finnpiling operates worldwide. We have a strong network that covers the entire world and we have more than 30 years of experience in the piling business. The Finnpiling services are located in Myrskylä in Southern Finland, where the harbor and other facilities are close. You're also more than welcome to come and have a look at our equipment yourself, there are easy connections available for example from Helsinki. If you are interested in buying piling spare parts or replacement parts, don't hesitate to contact us through the contact page or to send an email to info@piling.fi or if our live help is online, just send a message. It's our pleasure to help you whenever you need any kind of piling spare parts and/or replacement parts, just let us know what you are looking for. We'll help you to choose the right kind of spare parts according to your needs. We sell worldwide a wide range of spare parts for piling, for example: piston rods, drive caps, rebound rings, cushions, sensor brackets, lifting eyes, bearings and lifting brackets.